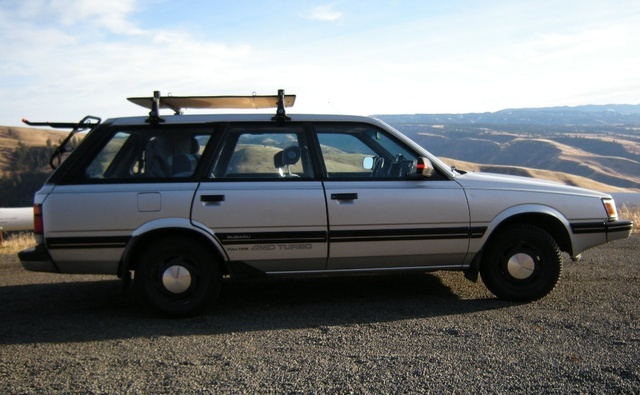 Have you driven a 1988 Subaru GL? Displaying all 5 1988 Subaru GL reviews. Uber Car. — I like the way it can address doing anything. On road, some off road, reliable, durable, economical, cargo hauler, winter wise, at home in the city or on a isolated dirt road. Smart but not arrogant, practical with some style. Pros: It's tough. Lots of extras, such as CC, AC, Sun/Moon Roof, Sound system, and the car is clean and good looks inside and out. Cons: Fuel mileage is not over 25 Highway. Subarus are a tad bit "querky". Looking for a Used GL in your area? Subaru Gl — This was my first car, haha. Ran like a champ, it was a beater. Though it was ugly and slow this car was perfect for an everyday drive, it was very reliable, and it had excellent gas millage. Is this car fun to drive? To me it was. If I could Id buy another one just for a second car to mess around with. A Good Drive Overall — this was the car i learned to drive in... in other words... it was my first love!!! Very good handling and a lot of grip with the 1.0 litre DOHC engine giving it a good grunt...was fun to drive.. This 1988 Subaru GL wagon is my car. I currently drive it, I bought this car for next to nothing with 67000 miles on it. Its my dream come true. Not only does it get great gas mileage but its older than I am, its dependable, inspected, insured, registered, practical, and just awesome all around. Its everything that you could hope for and more for a car used for daily driving. Power Ranked 1988 Subaru GL Wagon better. "Not very powerful at all... Wont be able to drag race... Or race at all." Looks/Style Ranked 1988 Subaru GL Wagon better. "Both kind of an eye sore. But looks can be deceiving. " 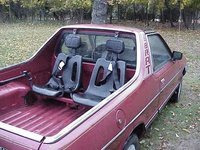 Front Seats Ranked 1988 Subaru GL Wagon better. "Not quite enough leg room, but Im fairly tall"
Back Seats Ranked 1988 Subaru GL Wagon worse. Cargo Capacity Ranked 1988 Subaru GL Wagon better. "I could sleep in it!" Family Car Ranked 1988 Subaru GL Wagon better. "Wagon is the G.O.A.T. " Value Ranked 1988 Subaru GL Wagon better. Would Buy Ranked 1988 Subaru GL Wagon better. "ABSOLUTELY! not that you could ever find another one to buy... Shes an antique"